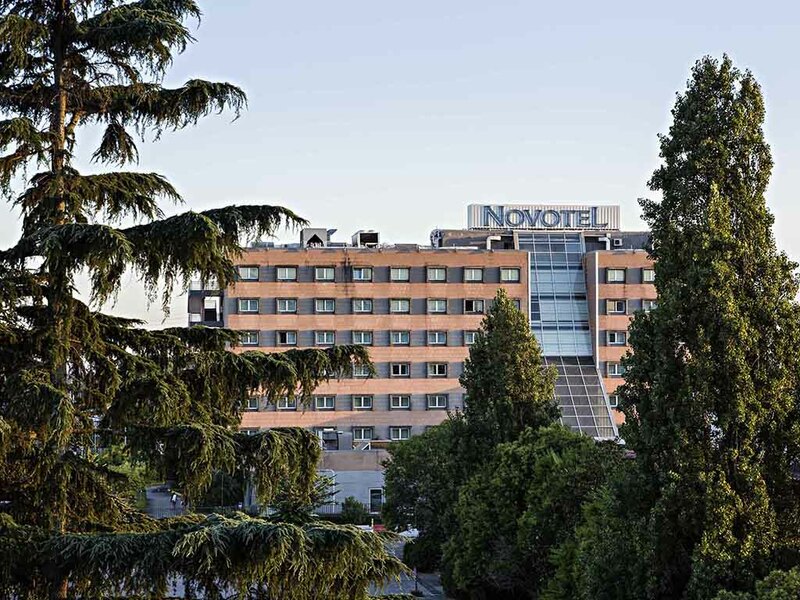 The Novotel Caserta Sud hotel is a comfortable, multifunctional hotel located approximately 20 minutes' walk from the center and the Royal Palace of Caserta. The hotel is an excellent starting point for visiting the Amalfi Coast, Ischia and Capri. This location is also ideal for banquets and outdoor events, thanks to the outdoor swimming pool and large garden with terrace. Don't miss the chance to try the regional specialties on our menu, prepared in a unique way by our chef. It's a lot better at Novotel. A spacious room with king-size bed, en suite bathtub or shower, sofa bed, work area, TV set, WIFI connection, hair dryer and safe. Up to 2 adults A modern spacious room with king-size bed, en suite shower, sofa bed, ergonomic work area, TV, WIFI connection, hair dryer, minibar and tea & coffee making facilities. Up to 2 adults and 2 children. Novotel Cafe offers a simple and generous menu of seasonal produce and excellent daily specials. Original and modern cuisine.